During my first years as a student affairs professional, I had a fire to be a successful professional - although I was not always sure what that meant. Somedays it meant learning how to navigate institution politics and other days it was trying to find the best advising style with a student population different from my own experiences. In the first years, I found myself in small towns with small networks, far from home, and a desire to connect with other young professionals. I survived my first seven years in the field by leaning on colleagues and friends. In 2011, I attended a conference for which my hope was to engage with first-year professionals who had recently started their experiences. At this conference there were few opportunities to connect with first years in student affairs. With those who I did meet, I realized that we professionals were not prepared to have quality conversations regarding the first years’ experience. I found myself at sessions marketed toward new professionals that mostly talked about job search and with that disappointment I decided I wanted to create a blog to connect professionals and thus, Student Affairs – the First Years was born. It was not easy in the beginning. I went to Twitter and found professionals who were active users and pitched to them about the opportunities that went along with an experiential blog where they would share their real experiences. Their ACTUAL experiences in the field. Part of the reason I truly wanted to connect with young professionals is that I knew deep down that there were other professionals who felt alone in their experiences. I knew there were professionals who could benefit from our own stories and experiences in our first years. 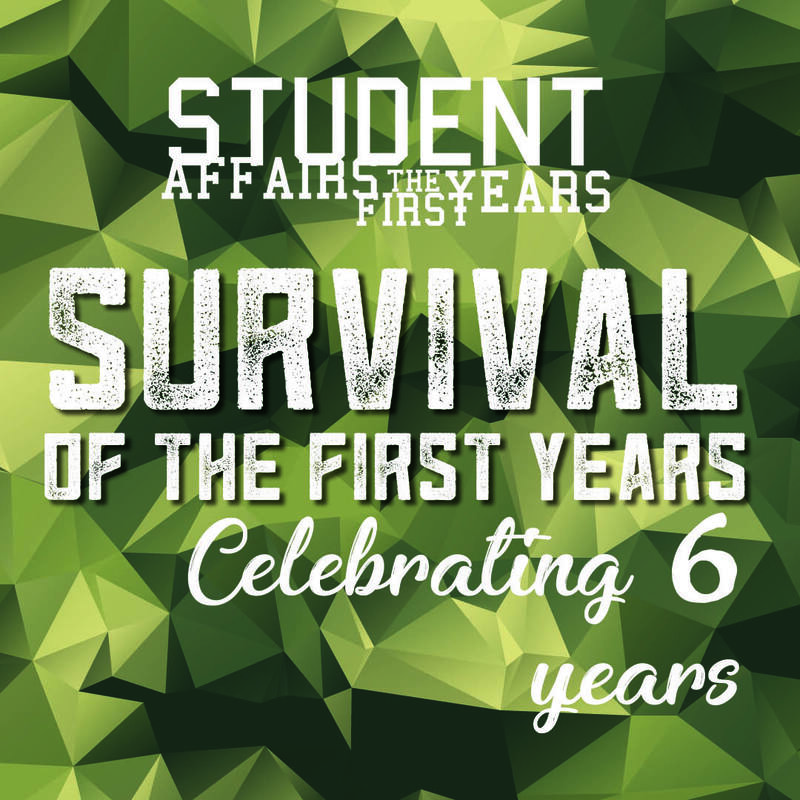 Running the Student Affairs – the First Years’ blog has been such an honor. We have featured nearly 1400 posts and nearly 100 unique contributors in our six years. Many of those writers have joined the leadership team and I certainly could not do it without these team members who have become lifelong friends. I survived because I went with the flow and followed opportunities. My undergraduate experience consisted of orientation, student programming and event planning, and the marching band. I fell in love with the idea of building students through my learned experiences. I was not supposed to find student affairs, it found me. Special shout out to my undergraduate advisors who forever inspired in my path to joining this field: Amy Gargus, James Buxton, Melissa Kougher, Jason Meier, Dr. Wittig. Ball State University was not supposed to be my graduate school choice. In fact, it was my last choice program but after interview day where I met faculty, future classmates, and future supervisors it would become my first choice. I was not supposed to have an assistantship in leadership, I wanted to work with programming. I had a better interview with the leadership unit and followed my gut. Thanks for taking a chance on me Mitch Isaacs. I did not receive a job through my TPE interviews. As graduation approached and I tried to keep my spirits high, I would have an unforeseen opportunity. After TPE, I chose to follow on Twitter one of the interviewers who did not advance me to an on-campus interview. That interviewer, Amy Geist, was someone who I thought was a cool professional. She would later inform me about another position within her office at the University of Notre Dame which I was fortunate to receive. Amy was not supposed to be my first supervisor, friend, and mentor. On January 23, 2012, the same day we launched this blog is the same day for which my family’s house in Alabama was destroyed by a tornado. I found myself that year wanting to be a little closer to home and make a little more money. You never know who is thinking of you. A person who I knew for a short time at Ball State encouraged me to apply for a job at the University of Florida (UF), which I accepted. My time at UF was also a transformational experience. There, I was able to supervise my first graduate students, find my professional swag, and build a dream community with the students I supervised and advised. Shout out to Brandy Burgess for letting me dream, grow, create, learn, and succeed. At some point, you know when you have achieved your growth and are ready for next level opportunities. It was a gut feeling but I followed those instincts which eventually led me to the University of South Florida. Change can certainly be scary and next level opportunities certainly come with learning opportunities. The common thread through all of my experiences was that I survived because I was willing to lean on others, trust my network, ask for guidance, and know that the right opportunities will always present themselves. I survived because I refuse to lose my creativity. Those who are closest to me know that ideation is one of my top strengths in StrengthsQuest. Infusing creativity and innovation into my leadership style has allowed for new initiatives, really cool events, and new opportunities to build community with my teams. I think there is something to be said about people who not only bring forth new ideas but see them to fruition. One quality that I enjoy most about myself is my ability to think creatively and bring some of those creations to life. I have been fortunate to work in offices that have allowed me to pursue some of those dreams. When I started at UF we had a team of students who were not customer service motivated. With the support of my supervisor, we brought innovative approaches to set new standards, teach effective customer service, and recruit more effectively. When I wanted to learn how to better manage the department website in my days at Notre Dame, it was the support of supervisors that I took HR website management classes. In undergrad I studied public relations and to this day I still find myself using those skills every day. At UF, my office oversaw one of the University’s programming boards. I realized that there was not an event that unified the board. I came up with the idea to try to break a record. After approaching the students and pitching it to them, it caught momentum. The idea turned into something much different but stronger than my original vision – the creation of a festival. It was amazing to see how my idea stirred creativity within the students. That has always been my greatest joy in this job. When our students succeed. I know I have succeeded. I plan to continue my survival. I am hearing about a lot of research where student affairs professionals are stepping into career opportunities outside of student affairs and higher education. We know in student affairs that the money is not great, the hours are long, and sometimes it is hard to move up within some institutions or departments. There is definitely an element of love for the student experience that keeps my energy high and heading to work each day. As a mid-level professional, I supervise professionals, graduate students, and undergraduate students. I moved from focusing on a few programs to a lot of programs and the challenge has been finding success across all of the programs I oversee. I find myself trying to bring to all of the programs the same energy I was able to bring when I oversaw just a few. My strategy has shifted. Instead of finding the success on my own, I have to be an expert in my area, share key strategies for success, hold team members accountable, and build a supportive community. Nevertheless, this is what I signed up for when I first joined the field. This is where I envisioned myself. It took a few years for me to get here, but I am enjoying the experience now that I am here. I certainly plan to give our team my all until we reach our goals. In the future, I do hope to be a director. I am not yet convinced I will step into a doctoral program or if a Dean or Vice-Presidential experience is my current dream. My plan for survival has not changed. I will continue to lean on colleagues and friends, go with the flow and follow opportunities, use creativity to move my team forward and to dream about my future in the field. To the graduate students and the professionals in your first few years. I get it. Maybe you are trying different advising and supervision approaches. Maybe you are learning just how you want to be supervised. Some of you are learning what to pack for lunch and how not to spend money every day at the lunch hour. Anyone else trying to find a way to stay motivated to stay fit after long days in the office? How about those of you who are in small cities where your professional networks are small and you only dream about visiting other cities? These plus a thousand more are thoughts I have had during my first few years in the field. Use this blog as a resource. Use the search bar and search any topic. Trust me. Because this was forever our goal: to connect young professionals with the real experiences of first years’. If I can be a resource to any of you, let me know. Best of luck in your student affairs pursuits. P.s. We are always looking for writers. If you are interested in sharing your story, we would love to give you that opportunity. Fill out the following form at the below link and a team member will reach out to you. 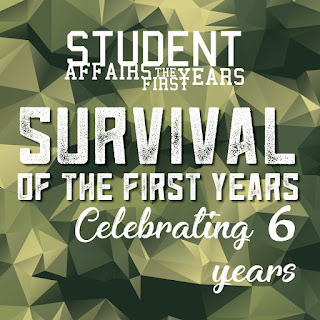 I survived 9 years of studying: 4 college years and 5 university years in UNSW@ADFA. After graduating from college, I thought it was not completely enough for me to work. I headed to Australian universities and found UNSW@ADFA. Proud to think that I've done it. Now, as the time passed, I became a Computer Studies tutor and personal writer for content and blogging.